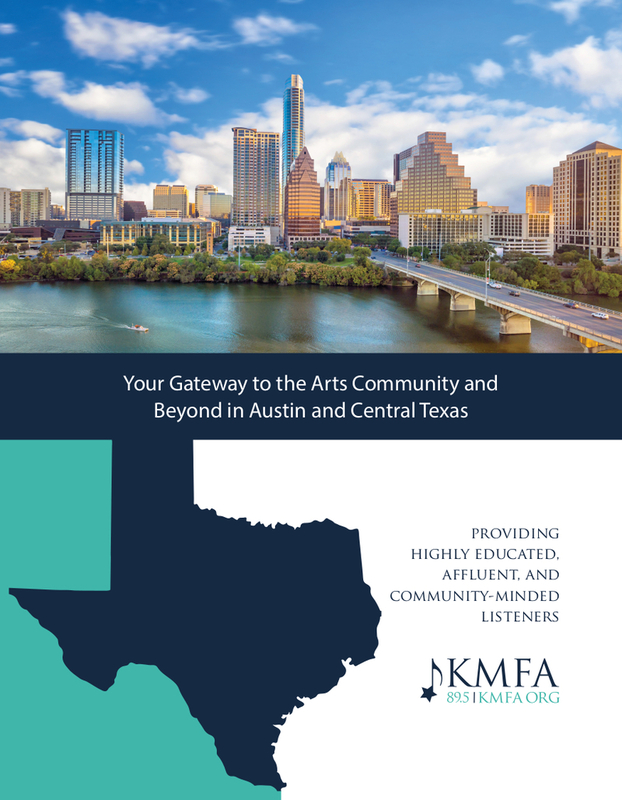 KMFA provides top-of-mind awareness with a sought-after demographic - an audience of educated, affluent, community-minded citizens in the Central Texas region. On-air sponsorship acknowledges your organization as a supporter of the station with 15-second announcements identifying your business, your products and services, and contact information. Learn more about the Business Sponsorship and the KMFA audience by viewing our media kit or contacting Teresa Lautzenheiser.